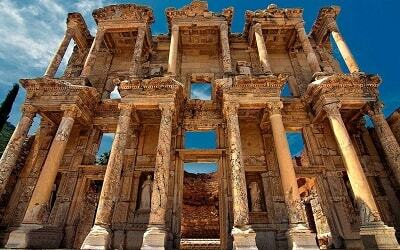 In Turkey there is one ancient city named Side, which is on southern Mediterranean coast and now it’s a resort town. This city is open for everyone who wants to spend their time funny and get more experience. If you are visiting Side with your family members, you should know that there are lots of things to do in Side for families. Below, we are offering you to take some tours of our company, with which you will be satisfied. This tour is for them who was dreaming about swimming with dolphins. We can give you a guarantee that tour will last forever in your memories. Until you get to the Dolphin Park you should ride about 40 minutes from your hotel, then you will be able to see one hour show, where it will be presented demonstrations by dolphins and they will show their best skills. If you will be in the first rows, you maybe get wet, because dolphins will do some exercises with balls and loops. After show you will be able to start second part of your tour, which includes 6 or 7 people group can join Dolphins and swim with them and it lasts 15 minutes. Don’t forget to know some basic in swimming and also take your towel. In the end of tour you will go back to your hotel. Have you ever thought about visiting aquariums? If yes that Side Antalya Aquarium Tour is for you, on this tour you can enjoy discovering a variety of fish species and you will be fascinated of seeing how one thousand creatures live together in harmony. If you are brave you can to swim with sharks! Don’t be afraid our priority is your safety. After than you will visit the World of Snow, where you will be able to throw snowballs each other, while outside is 40 degrees, inside you fill about -5 and that is not all, then you will visit Wild park, which has tropic atmosphere and during that you can hear sounds of rain, boulder stones, monkeys, birds and also how wind is blowing. You will feel like you are in the forest! 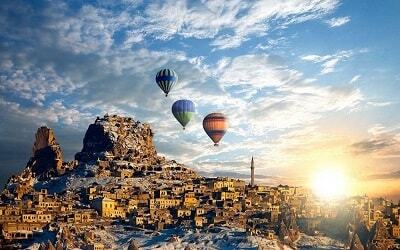 Also you will have 2 more hours for visiting Antalya Old Town and see some historical places. All this visiting will be amazing for you and you will never forget about it. Doy You Ever Seen Pirates Before? Unforgettable boat trip, which will give your holidays some extra fun with sailing by ship Big Kral and enjoy of beautiful landscapes. 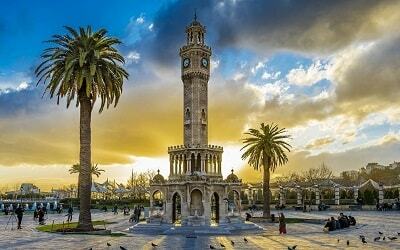 This tour starts in the morning when driver takes you from your hotel to the place which is located between Side and Alanya, distance is around 45Km. When you reach the place you will get in pirate boat and sail for a short time. During this you can enjoy of seeing caves and some beautiful nature, after that trip continues toward Alanya’s harbor. 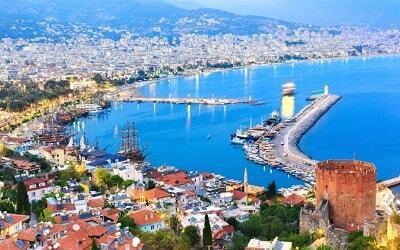 In the port you can take a lunch and when you end this, you will have 1 hour and 30 minutes free time to spend in Alanya city and do what you want, visit places and take amazing pictures. You should know that on the boat there will be some extra fun activities like Turkish dance, treasure hunt, pirate chase and other things, which will gave your holidays more excitement. When you reach the port tour ends and you will go back in hotel. Near side City is one biggest aquapark, where you should visit if you want one day full of adventures with your family and friends. You will avoid crowd city life and enjoy with water slides, pools and other activities, which will make your holidays unforgettable. If you don’t want to slide alone, Aquapark is giving you possibility to slide with group of friends or family. If you tired of slides and want to relax, you can join pools and take relaxing sunbath. If you need more adrenaline you have chance to get bungee-jumping or an artificial river rafting for 300 meters. During that tour if you want to eat or drink you will able to do it all day long, but only soft alcohol drinks. So whole day you will do what you want and is not against rules and in the end your driver will bring you back to hotel. Side is good city for all tourists who wants to have some funny tours and our company offers you some of them to make your vacation better and if you are in this city and want to spend your time with friends or family members and do some activities together, you just need to contact us.